Look at the above image. Pick a number 1-4 while allowing your heart to guide you to the message waiting for you today. Fear of Being Hurt Again~ If you are in constant fear of being hurt again, you have closed your heart. A closed heart is your block to finding love, or allowing love … Continue reading The Lotus Heart Love Relationship Reading. What is holding you back from love? I have people message me daily about the Readings I do, and how to go about ordering one. In order to make this a more user friendly process I decided to list some here for you to easily access at any time! 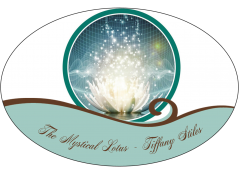 Are you seeking some guidance today to gain clarity in an area of … Continue reading Intuitive Oracle Readings by Tiffany Stiles~ Get the Guidance & Clarity You Seek Today!